This glorious burst of color was spotted this past weekend at the Pleasantville Farmers Market. With a chill in the air and the browns and oranges of fall all around us, I went to the Farmers Market in search of warm cider and cinnamon donuts, the tastes of fall. Instead, I was met with this burst of vibrant spring color, and it instantly made me happy. 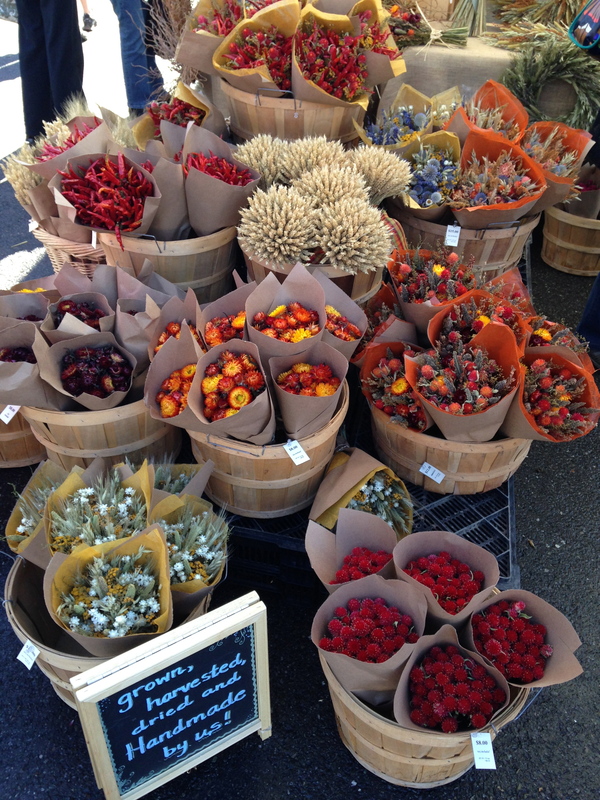 The River Garden Flower Farm, located in the Catskills, had a beautiful and bright booth overflowing with dried flowers. I met Bernadette, who owns the farm with her husband. 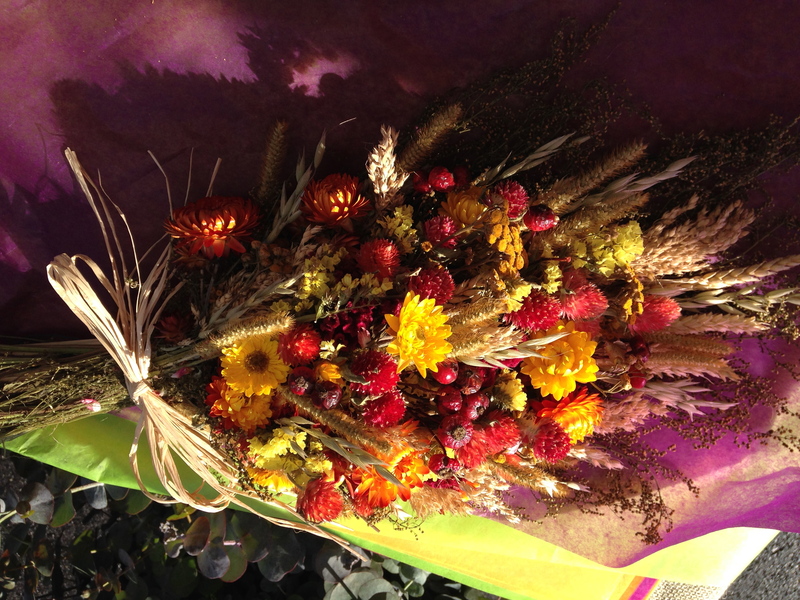 Together, they grow the flowers, dry them, arrange them into these beautiful works of art, and deliver them here to their booth at the Farmers Market in Pleasantville. I couldn’t resist buying one and I think I’m going back next weekend for more. Beautiful wreathes, small bunches ready to drop into a vase, table centerpieces- Bernadette had it all at very reasonable process. Next Saturday is the last weekend to catch the Pleasantville Farmers Market outside in the center of town near the train station, and it may be the last time Bernadette is in Pleasantville until next spring, so be sure to stop by. She’ll be heading into the city for the Union Square Farmers Market over the winter months – catch her here while you can!